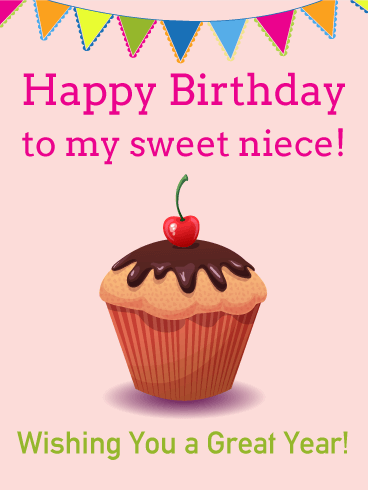 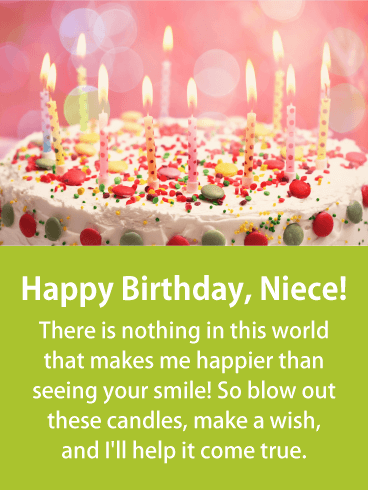 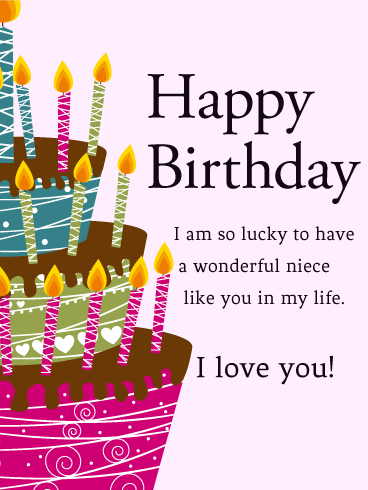 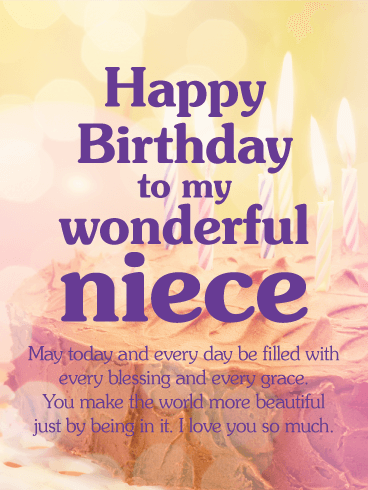 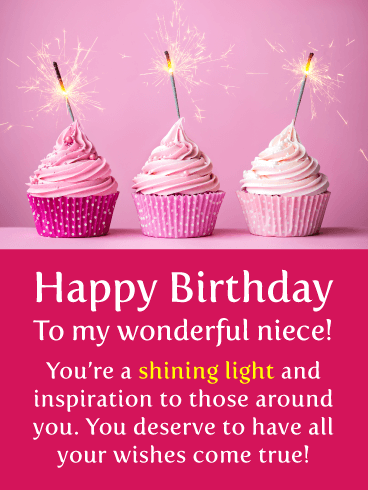 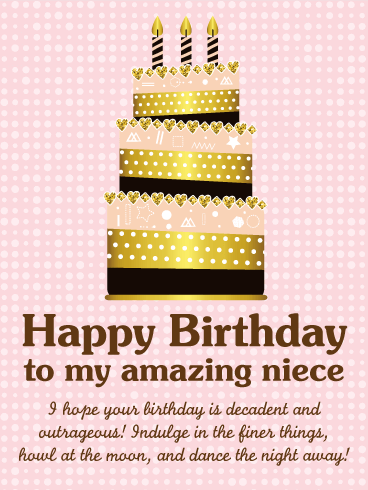 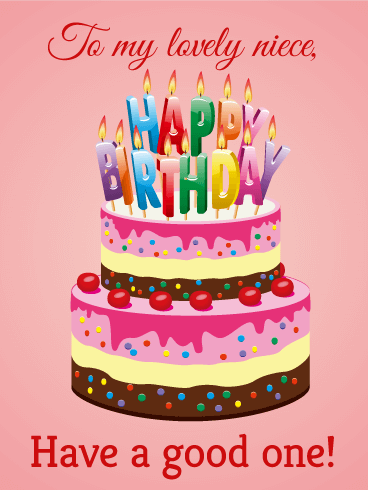 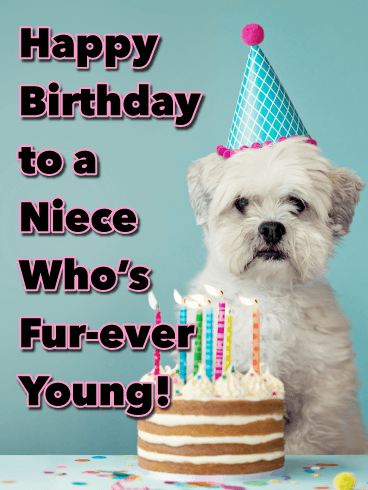 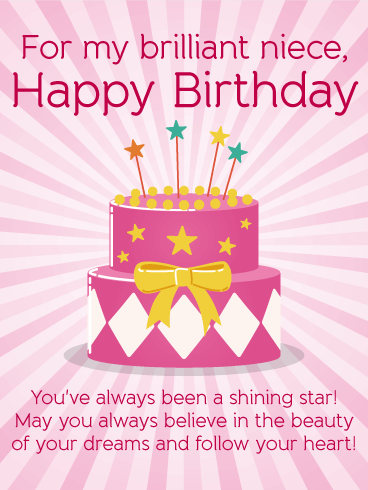 Pretty please with a cherry on top, send this birthday card to your favorite niece! 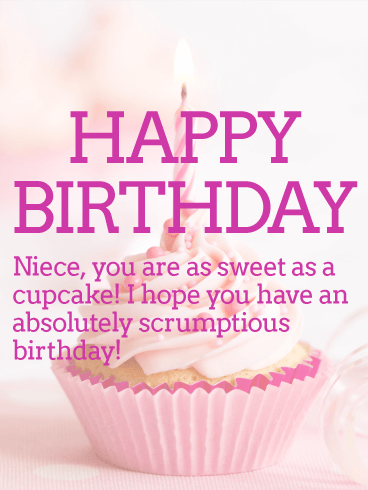 She is as sweet as a cupcake and deserves to know how much you care. 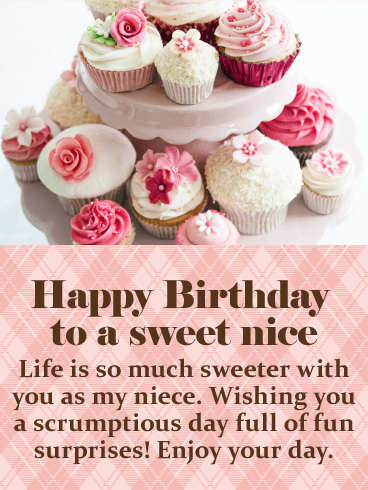 Wish her a happy birthday and a great year with this yummy cupcake birthday card. 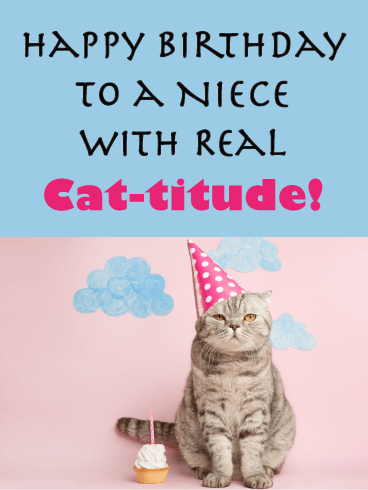 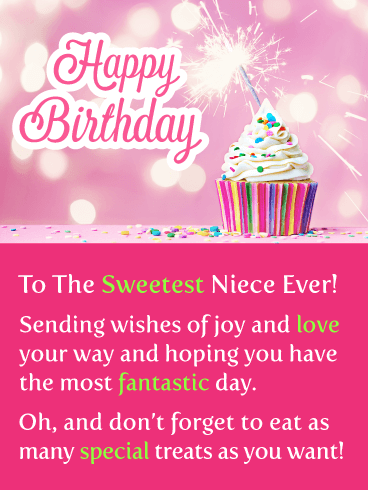 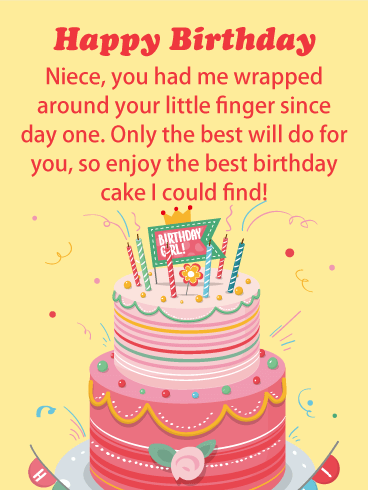 Being an Aunt or Uncle is super-rewarding, tell your niece how lucky you feel to have her in your life with this scrumptious birthday card. 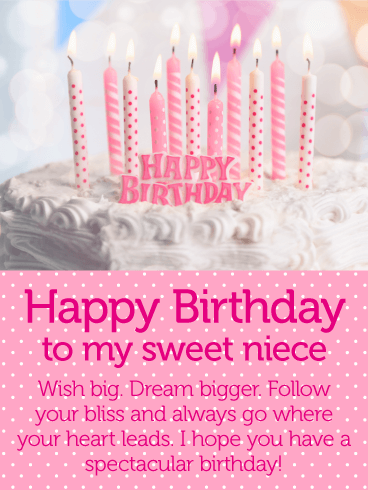 She will love the pretty tiered layer cake with chocolate icing and glowing candles. 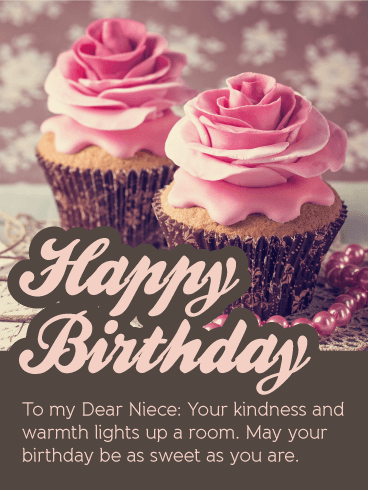 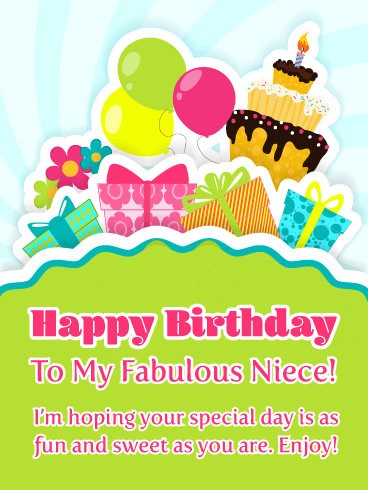 Send love with this special birthday card and heartfelt birthday message.